Location: Decio Theatre of the University of Notre Dame’s DeBartolo Performing Arts Center. Ross Douthat, author, blogger and New York Times columnist, will speak on “Catholic Freedom and Secular Power: How the Religious Liberty Debate Has Changed Since Vatican II,” at 4 p.m. Sept. 16 (Wednesday) in the Decio Theatre of the University of Notre Dame’s DeBartolo Performing Arts Center. 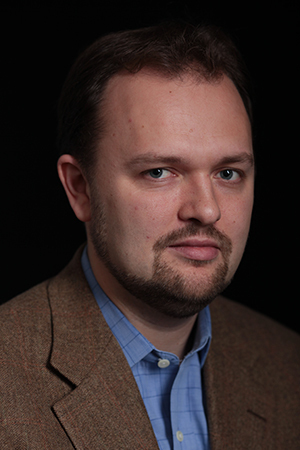 Douthat’s lecture is a keynote event in the 2015-16 Notre Dame Forum on “Faith, Freedom and the Modern World: 50 Years After Vatican II,” which commemorates the 50th anniversary of the publication of pivotal documents of the Second Vatican Council that have particular significance today. Douthat joined The New York Times as an op-ed columnist in April 2009, becoming the youngest regular op-ed writer in the paper’s history. Formerly a senior editor at The Atlantic and a blogger for TheAtlantic.com, he is the author of “Bad Religion: How We Became a Nation of Heretics” and “Privilege: Harvard and the Education of the Ruling Class,” and the co-author, with Reihan Salam, of “Grand New Party: How Republicans Can Win the Working Class and Save the American Dream.” He also is the film critic for National Review. Established by Father Jenkins in 2005, the Notre Dame Forum has featured major talks by leading authorities on complex issues including immigration, sustainability, global health, the global marketplace, K-12 education and the role of faith in a pluralistic society. Douthat’s visit is co-sponsored by Notre Dame Law School Program on Church, State & Society and Notre Dame’s Tocqueville Program for Inquiry into Religion and Public Life. The lecture is free and open to the public. Doors open 30 minutes prior to the event.